[u'The real challenge with Stardew Valley is putting the game down. Once you get started on this fun farming adventure, it\u2019s hard to stop. Stardew Valley is also an awesome game to have with you at all times so portable mode is a major plus! Despite the occasional glitch, Stardew Valley is a welcome addition to the Switch’s quickly growing library. I’ve played over 30 hours of the game, and I don’t plan on stopping anytime soon. More crops are always available to grow, more upgrades are ripe for boosting my farm, and more minerals are mine to mine. It’s a game I can see myself coming back to time and time again for years, and that’ll be easy to do with the portable nature of the Switch. 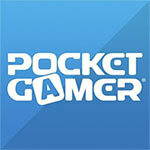 It’s a masterpiece, and a perfect game for Nintendo’s newest console. It’s all centered around whatever it is you want to accomplish that day. And that’s truly what makes Stardew Valley such a lovely experience, it encourages you to go out and be the best you can be, in whichever task that brings you the most joy. Stardew Valley motivates naturally, with blissful optimism. 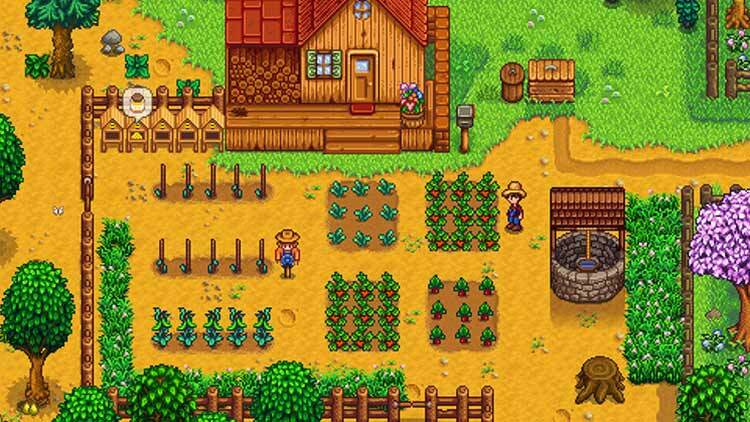 Stardew Valley brings a mix of farming and life simulation to the Switch and the platform is absolutely perfect for it. Being able to pick up and play the game for a quick bus ride allows you to get in a quick meeting with a couple of people or take care of some light farming. Then you can play at home and enjoy it on a TV screen to really absorb yourself in the adventure. 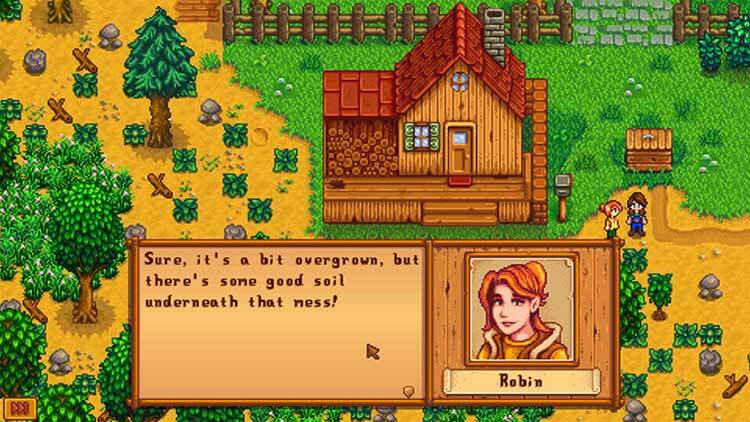 Stardew Valley offers its players a chance to live a second life – one where you can forget the troubles of the real world and get excited over finding a particularly rare carrot. It is a truly magical experience; games can often be enjoyable but they don’t all manage to be as captivating as this. The developer clearly realises what a good match it is, because the Switch will be the first console version to get the multiplayer patch that’s due next year. But especially given the low price there’s no need till wait till then to enjoy the game. 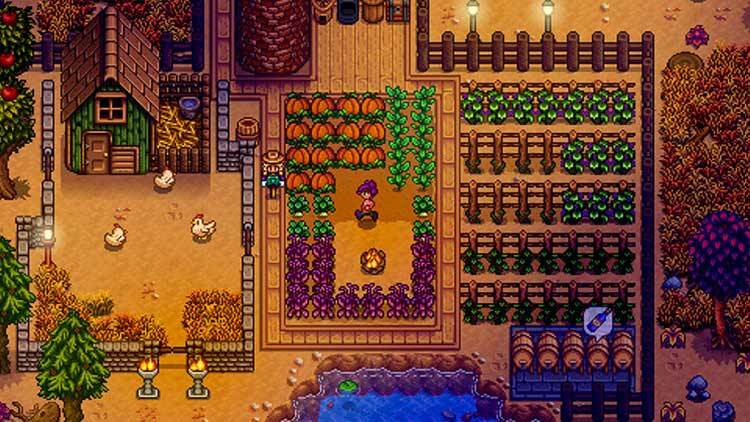 Stardew Valley is great on any format, but on the Switch it seems to have found the perfect growing conditions. Stardew Valley is as excellent as it's ever been. In fact, twinned with the Switch's portable capabilities I'd say it's at its finest. There are a few little niggles here and there, but nothing major that really detracts from the enjoyment of the game. If you love character and relationship-based games and farming simulators this is an absolute must-have. Heck, it's a must-have even if you don't. The portability of the Nintendo Switch makes this undoubtedly the best way to play Stardew Valley. 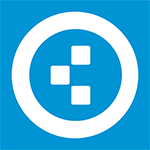 Unless you are really keen on modding the game, the combination of easy portability and excellent controls makes this a staple in any well-rounded Switch library. It's still the same great farm simulator it was on PC - robust, full of secrets, and comes with an inescapable charm that will keep pulling you back in, season after season. Stardew Valley es un constante descubrimiento, una sorpresa detrás de otra en la que pierdes la noción del tiempo por completo. Su llegada a Nintendo Switch no llega exenta de bugs que todavía se deben corregir, todos ellos menores. La mission est accomplie, même si on ne peut s’empêcher de se dire qu’il aurait pu aller encore plus loin et trouver encore plus d’idées originales pour asseoir sa propre identité. 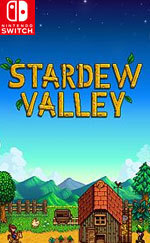 Stardew Valley n’en reste pas moins un jeu reposant pour l’âme, aussi authentique que la vie qu’il dépeint, et dans lequel on peut mener sa vie comme on le désire. Un vrai petit morceau de paradis.